Mallow Bank unissued One guinea note, early 1800s. 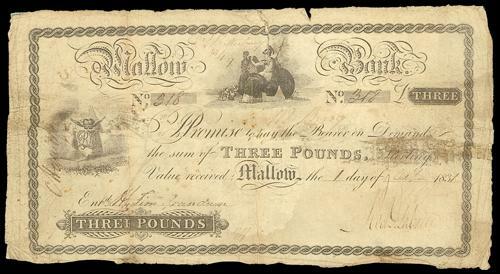 Mallow Bank Three Pounds 1831 (it looks like 1831, not sure). The design of this note resembles that of Bank of Ireland notes of the same era. It is one of the mreo attractive private bank notes of the era. 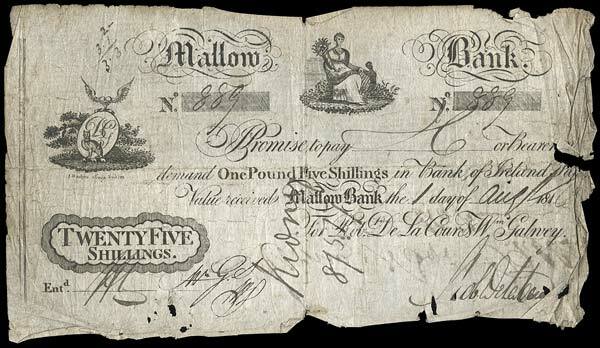 Here's a 25 Shilling note issued by the Mallow bank in 1816.